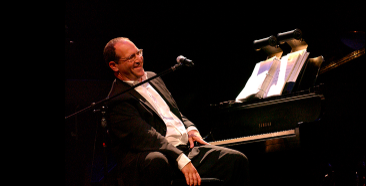 Nyack’s Neil Berg is presenting 100 Years Of Broadway from December 18th to December 31st at the Westchester Broadway Theatre in Elmsford with a cast of several Broadway stars, including Rita Harvey, Craig Schulman, Lawrence Clayton, Catherine Brunell, William Michale, Rebecca Pitcher and Danny Zolli. The show on New Years Eve will be a celebration of 2018. Contact the theatre at broadwaytheatre.com or 914-592-2222 for ticketing and more information. ArtsRock is presenting the Milk and Cookies Playhouse production of the Grand Falloons Low Sensory Show on Saturday, February 10 at 2 p.m. at the Nyack Center for children and families. “Songs of Protest 2” is coming on Saturday, April 7 at 8 p.m. More information at artsrock.org. Ring in the New Year with comedian Pablo Francisco with spot-on impressions and off-the-wall sound effects and parodies at Levity Live in West Nyack. Pablo will be at Levity Live December 29 through December 31. Contact Maegan Brown at Maegan@personalpublicity.com for more information. The East Coast premiere of “On Clover Road” is set to play on weekends from January 12 to February 3 at Elmwood Playhouse in Nyack. When you bring together a seedy motel room, a desperate mother, a missing daughter, a kidnapping, a deprogrammer, a cult leader and a gun, something is bound to go wrong. Contact the Elmwood Playhouse at elmwoodplayhouse.com or 845-353-1313. “On Clover Road” will feature Danny Charest of Thornwood, Cornelia Groeger of White Plains, Stavros Adamides of Spring Valley, Kat Smith of New City and Amelio Marino of Pearl River. Folk singers Marianne Osiel and Stefan Waldman will be the headliners of the next Borderline Folk Music event at the Nanuet Library on Sunday, January 28 at 1:30 p.m. Contact borderlinefolkmusicclub.org. A Buddy Holly/Big Bopper/Richie Valens Tribute, “The Night the Music Lived”, will be shown at Westchester Broadway Theatre in Elmsford from January 4th through 7th. The showing will be both matinees and evenings. For tickets and more information contact 914-592-2222 or broadwaytheatre.com. The West Point Band will play at Eisenhower Hall in West Point on Saturday, January 20 at 2 p.m. and will be doing Gershwin’s “Rhapsody In Blue” featuring Sergeant First Class Yalin Chi on piano. The concert will also include Percy Grainger’s masterpiece for wind band “Lincolnshire Posy”. Contact bandpublicity@usma.edu or 845-938-5202. “A Chorus Line” opens January 11 at the Westchester Broadway Theatre in Elmsford and runs through April 1, 2018. This is followed by “Sister Act,” “Anything Goes,” “Newsies” and Dickens’ “A Christmas Carol.” Contact 914-592-2222 or broadwaytheatre.com for more information.